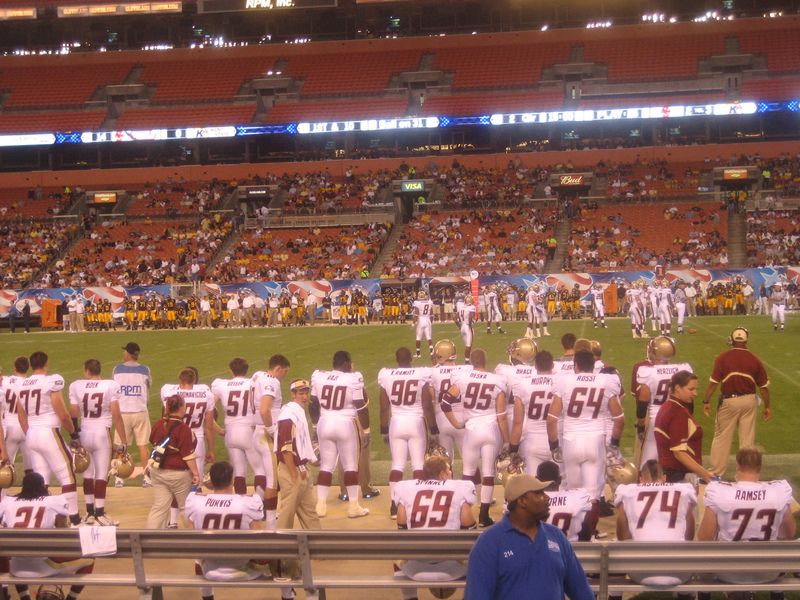 My alma mater, Boston College, was represented in Cleveland at this past weekend’s Patriot Bowl! 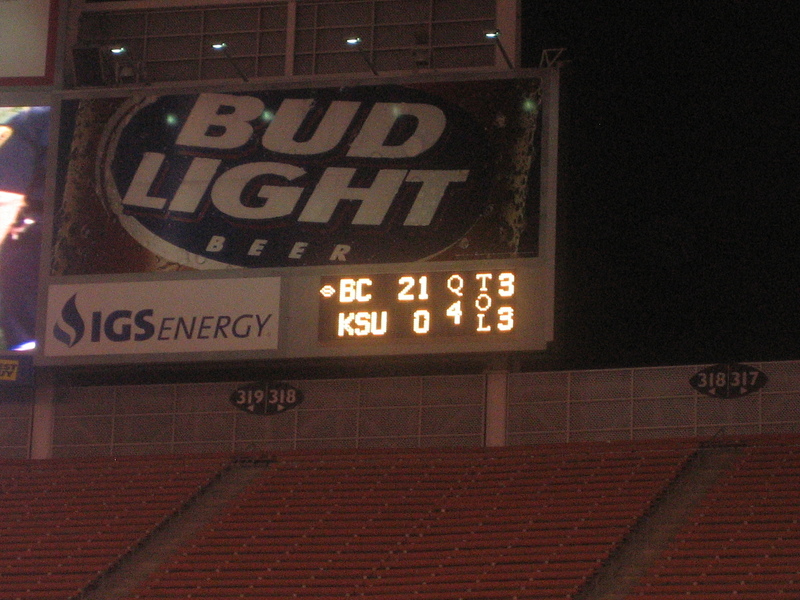 The game was BC v. Kent State at Brown’s Stadium. I’d been counting down the days for this football game for quite some time, especially because about 50% of the people I work with went to Kent, and because I love college football. Some of my coworkers had been talking trash for some time, especially in the weeks before the game. But…..if you haven’t heard… BC won! 21-0! The weekend was fun, not only because BC won (though that helped) but also because I had 5 BC grads from out of town come to visit, 3 who I hadn’t seen since graduation. We picked a muni lot spot Saturday and tailgated all day leading up to the game. None of these friends had ever been to Cleveland before, so with the airshow, the game, and the beautiful weather, I am pretty sure they were impressed. To hear the BC fight song (“For Boston”) or just some good old Dropkick Murphy’s, click here.